In a world of cities, suburbanization is the most visible and pervasive phenomenon. Global sprawl engulfs us but it does so in remarkably differentiated ways. While the single-family home subdivisions of North America remain the "classical case", there are now many other forms of suburbanism around the globe. The high rise housing estates around many European and Canadian cities, the belts and wedges of squatter settlements in the global south, the burgeoning megacity peripheries between Istanbul and Shanghai and the technopoles and edge cities in all corners of the world are all part of a pervasive trend towards global suburbanisms. 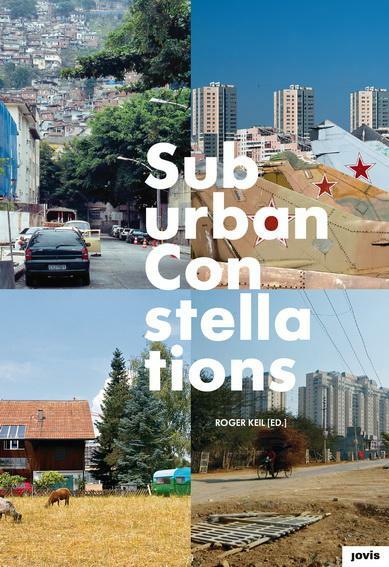 Suburban Constellations provides a first account of this global development. 22 of the most well-known global urban scholars analyze the multiple manifestations of suburbanization and suburbanism. They are joined by artistic and illustrative contributions. 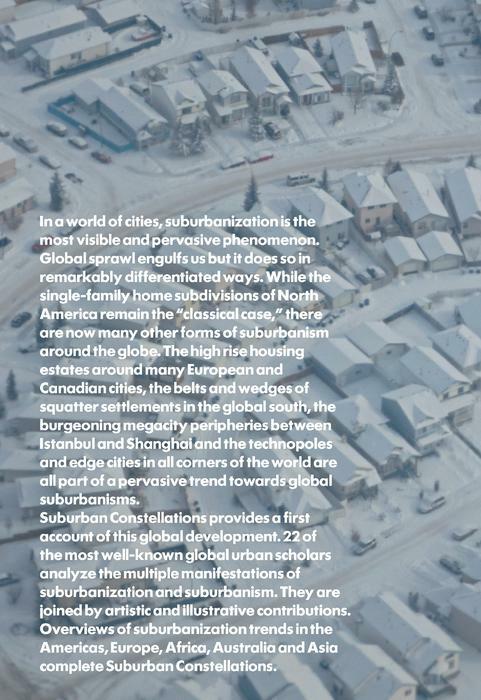 Overviews of suburbanization trends in the Americas, Europe, Africa, Australia and Asia complete Suburban Constellations. • Escape from the Burbs? Roger Keil teaches at the Faculty of Environmental Studies at York University, §toronto and is the Principal Investigator of Global Suburbanisms. Among the other he is the co-editor of Suburban Governance: A Global View and author of the forth coming Global Suburbs (Polity).